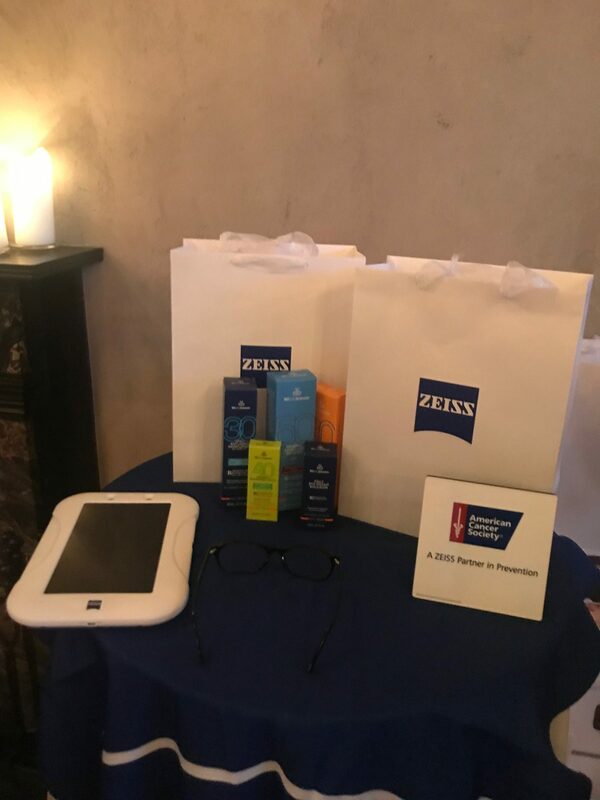 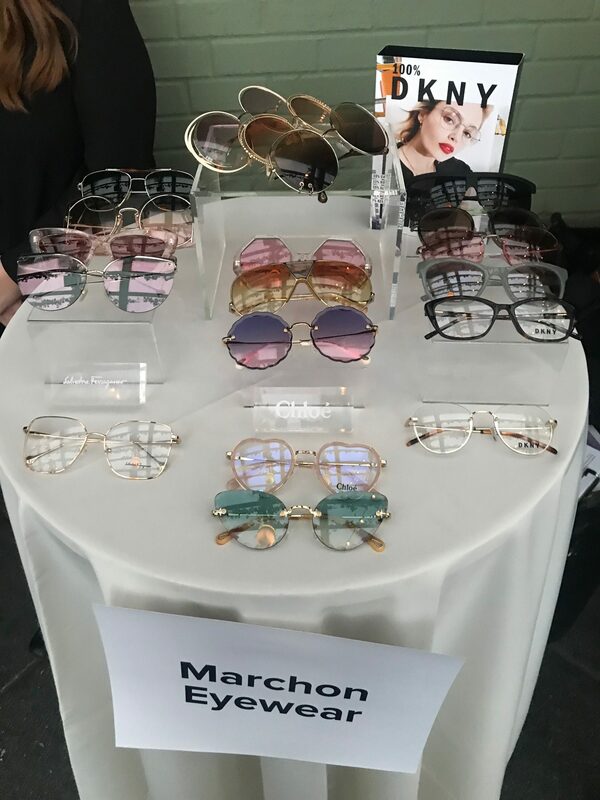 Last month, The Vision Council hosted a press preview at Gramercy Park Hotel’s Terrace. 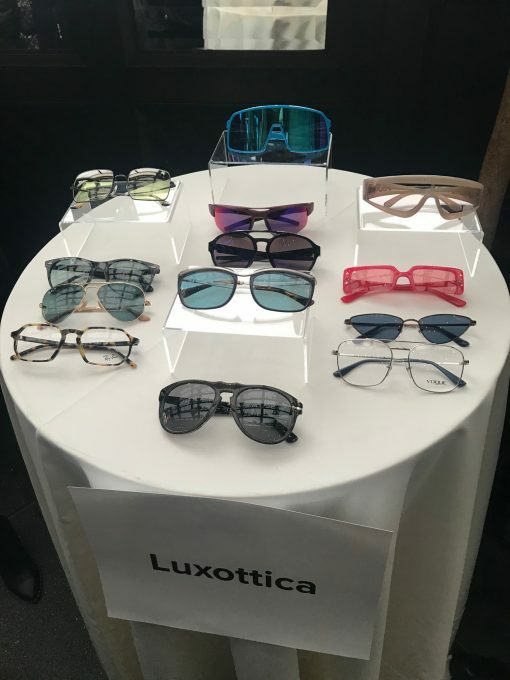 The event kicked off the annual Vision Expo, which took place the next day at Javits Center. 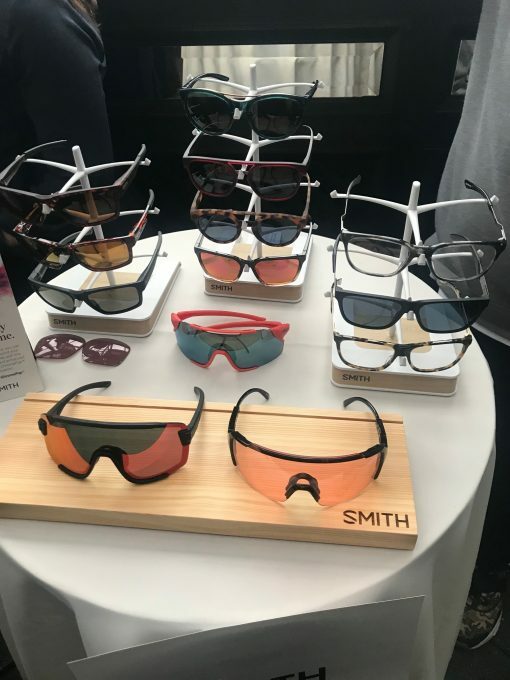 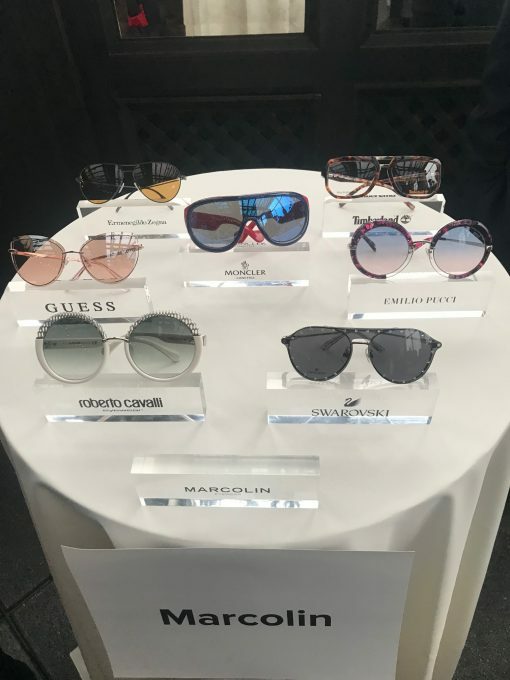 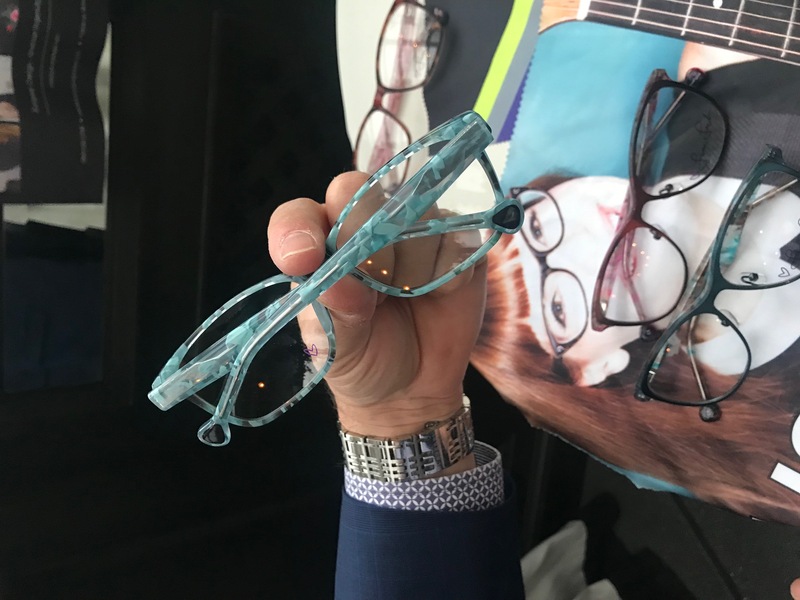 Some of the Vision Council members and Vision Expo exhibitors showcased their eyewear collections, sharing informative insights at the intimate event. 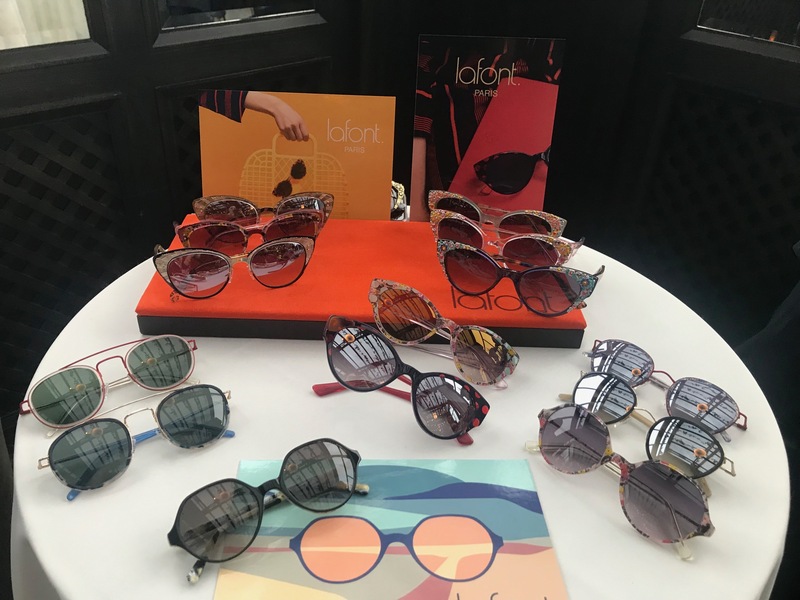 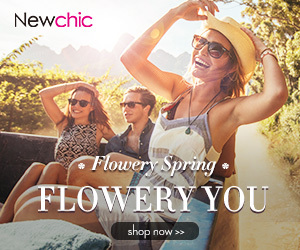 That list included Modern Optical, Allure Eyewear, Classique Eyewear, Luxxotica, Marchon Eyewear, Match Eyewear, LaFont Paris, and Altair Eyewear. It also included Marcolin, Modo Eyewear, Smith, Safilo, Kazoku Lunettes, Zeiss, and more. 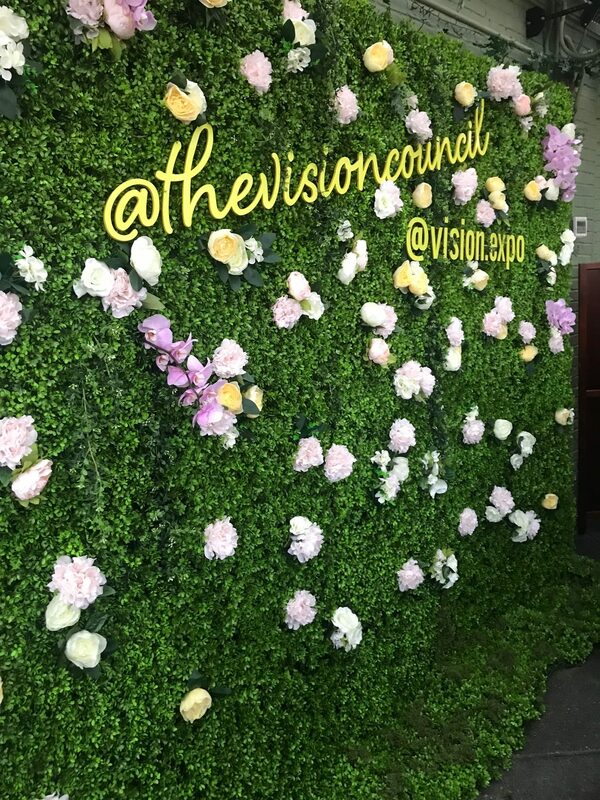 Guests posed at a floral Vision Council and Vison Expo step and repeat with props to get the perfect photo. 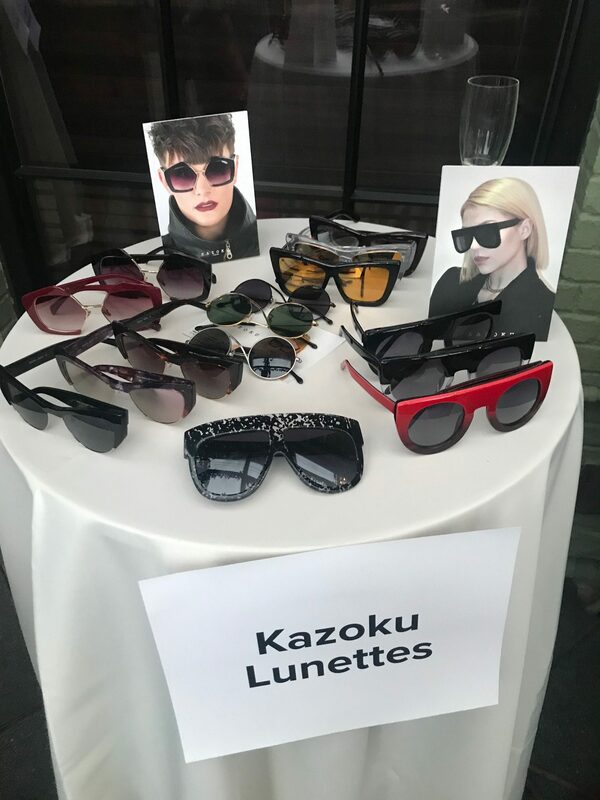 The event was quite insightful and entertaining, featuring a number of Spring 2019 trends that I loved. 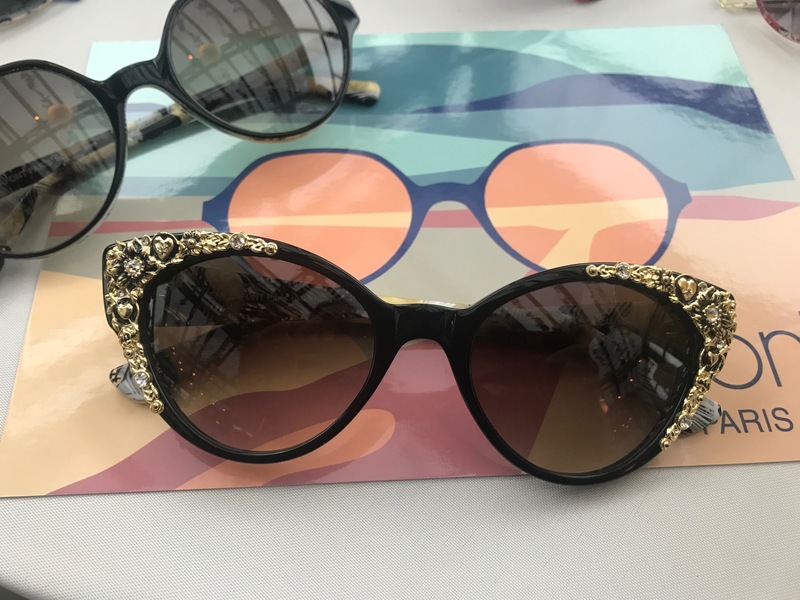 My favorite trends included the big geometric frames, intricate detailing, eccentric aviator frames, demurred cateye frames, and lots of mirrored sunglasses. 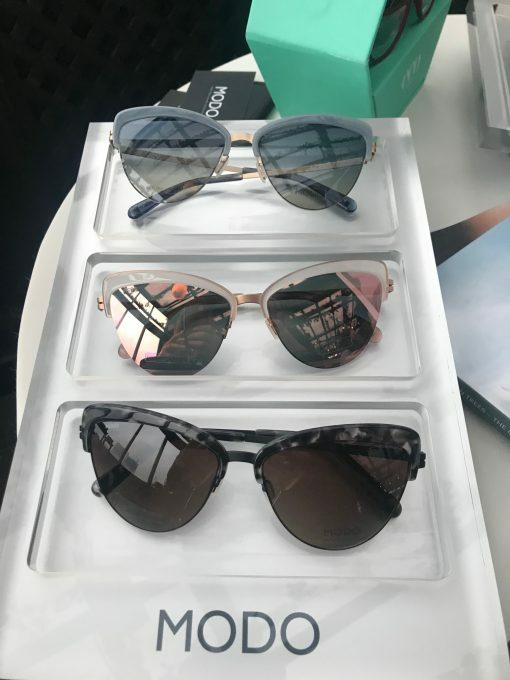 I love a good aviator but I’m drawn to creative innovations as well. Lafont Paris has a lot of frames that are lined with a beautiful floral style detailing. 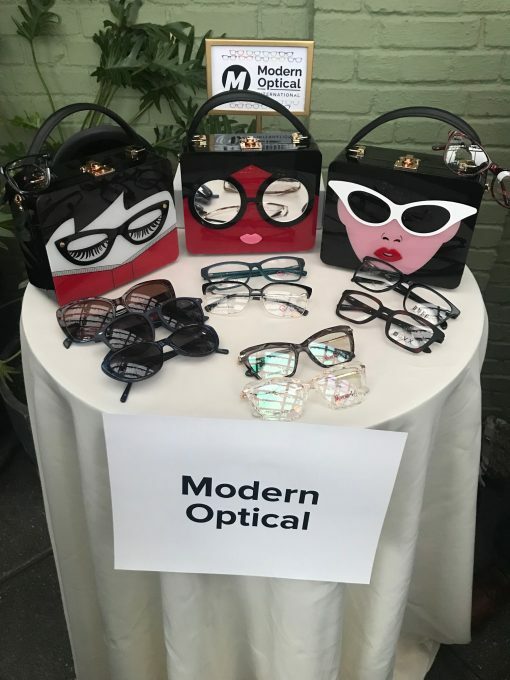 I’m also amazed with the variety of stylish eyeglasses that these brands developed. 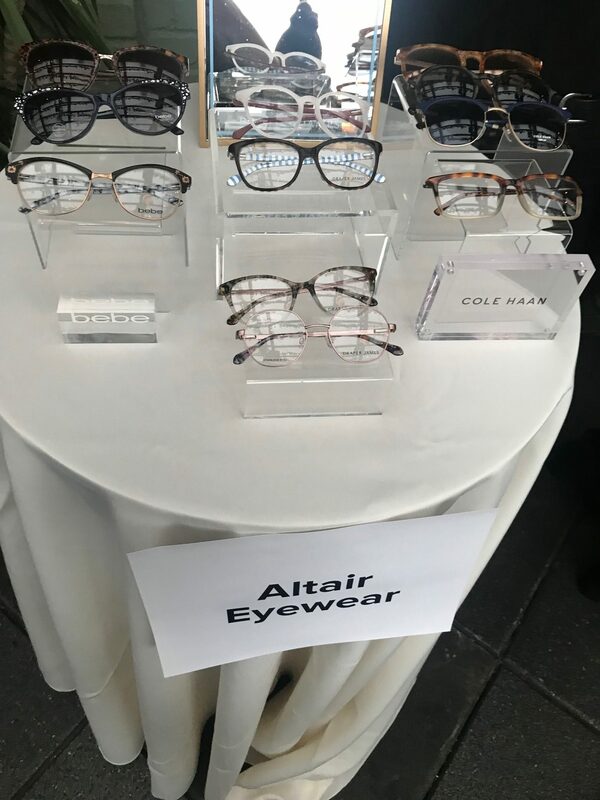 For example, Altair Eyewear collaborated with Lisa Loeb and her collection of glasses is outstanding. The glasses have her signature cateye style and the stems have a guitar pick shape for a unique touch! 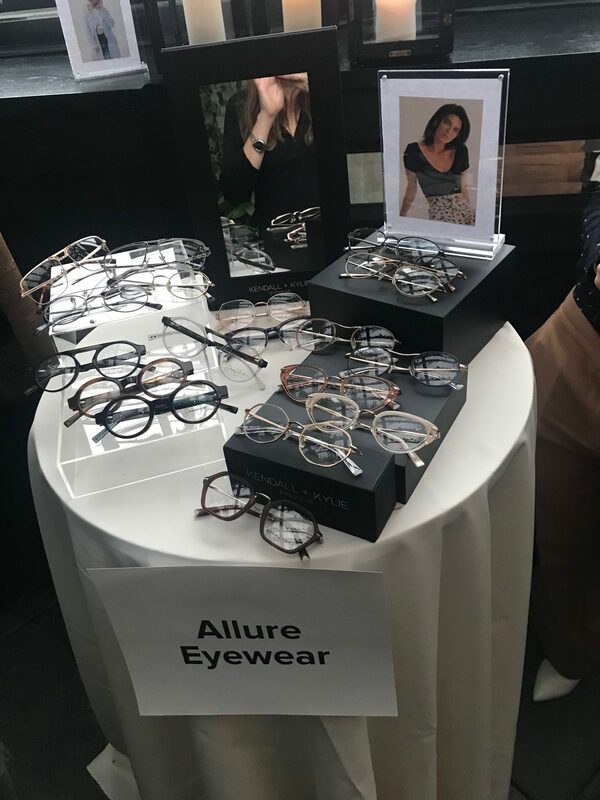 All in all, the Vision Council Press Preview did a great job at showcasing an incredible lineup of brands with innovative trends. 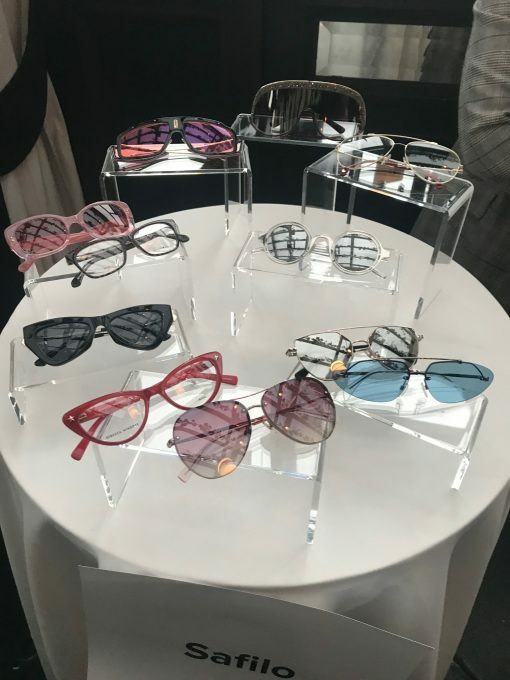 It was an eyewear aficionado’s dream in a perfectly chosen venue. Cheers to creative vision, hot trends and stylish eyewear! 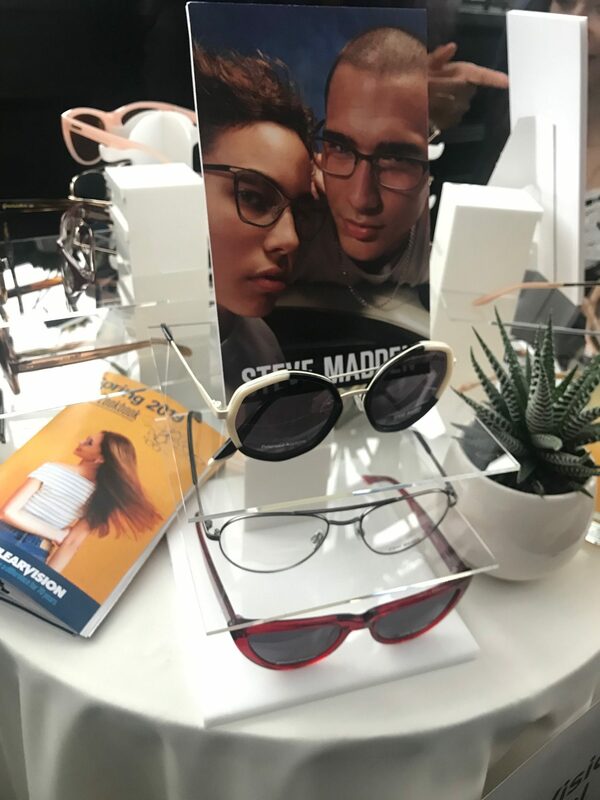 This entry was posted in Events, Eyewear, Fashion and tagged eyeglasses, eyewear, frames, press preview, sunglasses, The Vision Council.